If you read our write-up from the "House of Chivas" Icon HK launch last year, you may have noticed the stunning venue in the background of the photos. 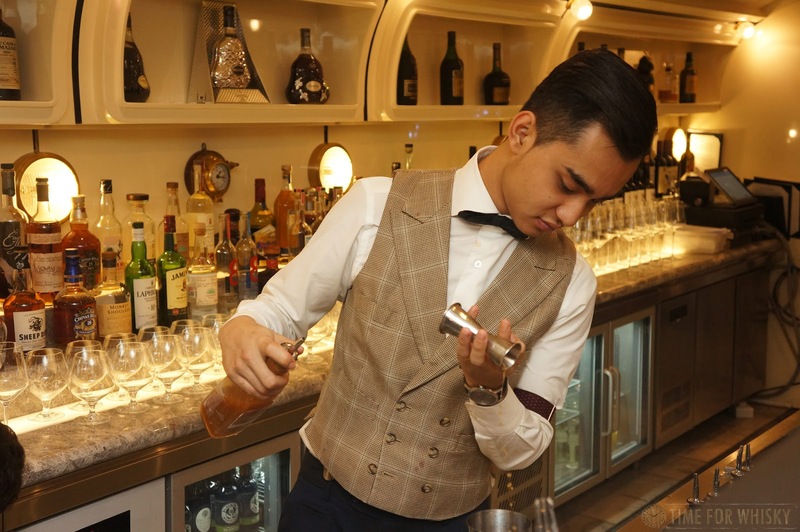 That venue was the newly-opened Foxglove, which we returned to recently for the official media launch and more in-depth tour. Foxglove is the new venue from Ming Fat Group, who in 2014 brought us the excellent Mrs Pound in Sheung Wan. At over 4,000sq ft, it's cavernous by Hong Kong standards, yet retains an intimate feeling in every one of the 4 distinct areas. 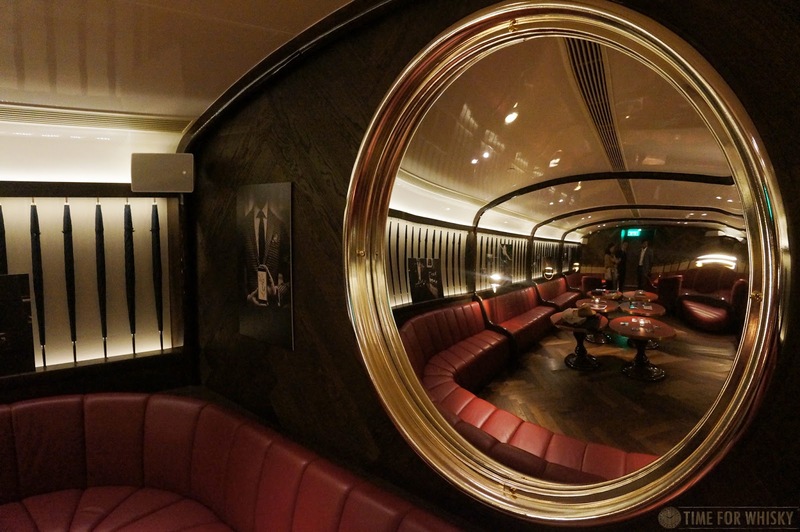 Starting in a room which can only be described as an upmarket First class train carriage from the 1930s, we admired the red leather lounges encircling the room, the umbrellas lining both sides and the convex mirror which is sure to make for some fun Instagram photos. 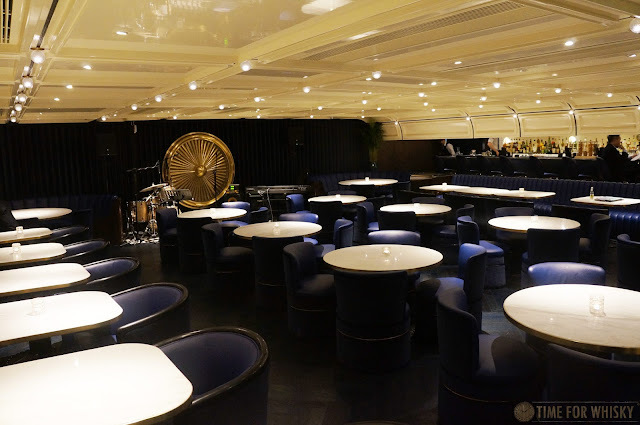 We're told the room will be available to patrons most nights, as well as being used for the occasional intimate gig. We've already seen it being used to good effect for whisky masterclasses too. Moving onto the bar, we were given a decent taste of the cocktail menu on offer, starting with the "Bitter Truth", using an Angostura Bitters base (along with house-made orange cordial, Kraken spiced rum and fresh apple juice). Delicious, and a great way to show the versatility of Ango. 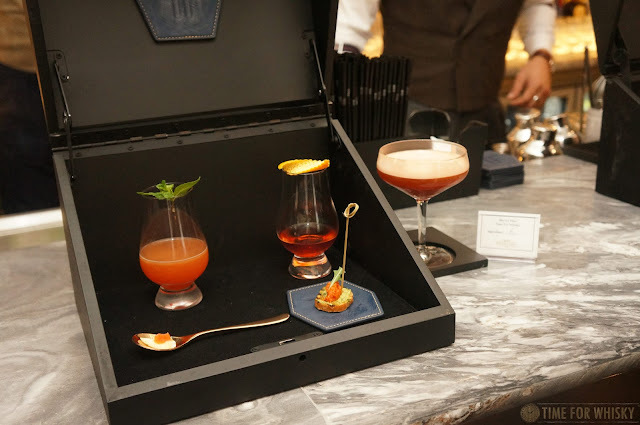 Then (of course) was onto the whisky cocktails - starting with the "Empire Boulevardier" which replaces Bourbon with Hibiki 12 and features house-made cardamom bitters. Citrus forward and bitter, this was right up my alley. The "Whisky Smash Twist" based on Tonka-bean infused Buffalo Trace wrapped things up with a herbal, earthy flavour. Interesting, but delicious. 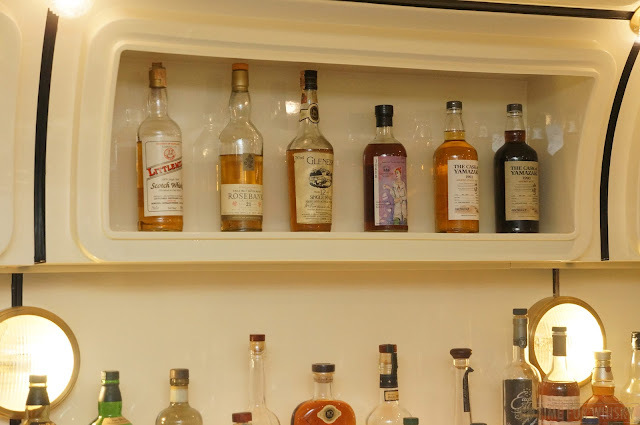 The spirits selection is impressive too, with a library of old, rare cognacs and whiskies, some dating to the 1950s and many from mothballed distilleries (below is just a small taste of the bottles on offer - many of which are reserved for the VIP room - more on that later). Next we moved onto the dining room, which the venue bills as the perfect spot for a working lunch. Hmm...we see where they're coming from, but those blue leather chairs are so comfortable (and the food / drinks so good), I don't think we'd want to go back to work after a visit! 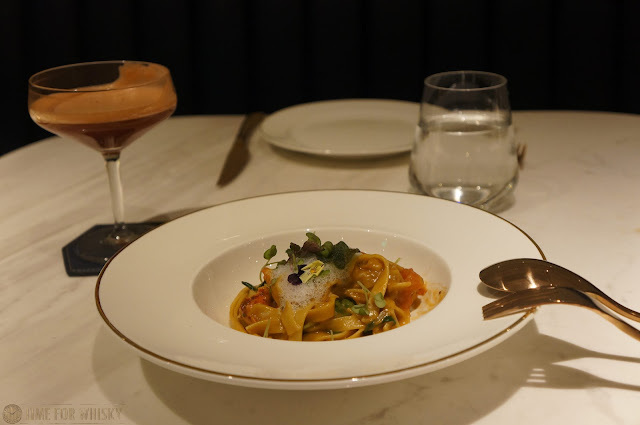 We tried a number of dishes from both the bar snacks and dinner menus - beef tartare with Kimchi, ham and cheese toastie (with 4 types of cheese, no less), melt-in-your-mouth wagyu, and lobster tagliatelle to name a few. All fantastic. 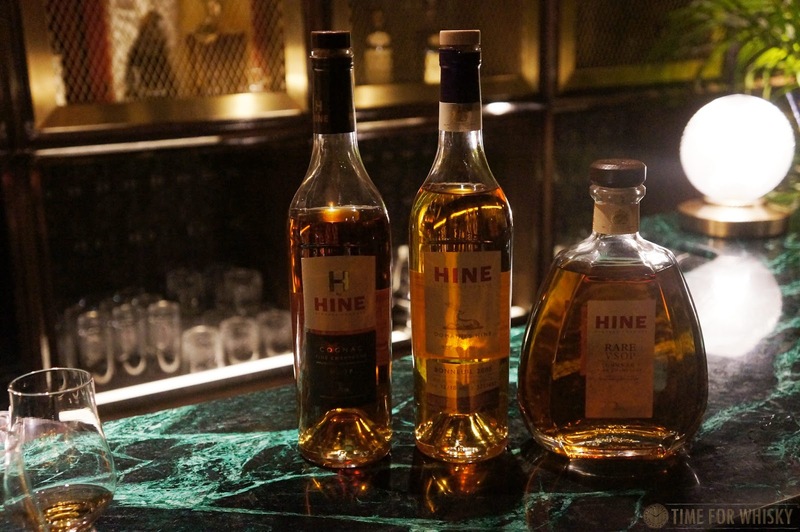 Our final stop for the tour was the secret VIP room (which doubled as the Chivas Heritage room a few weeks earlier), for a tasting of Hine Cognac with Hine's Asia Pacific Brand Ambassador Mathieu Jeannin. 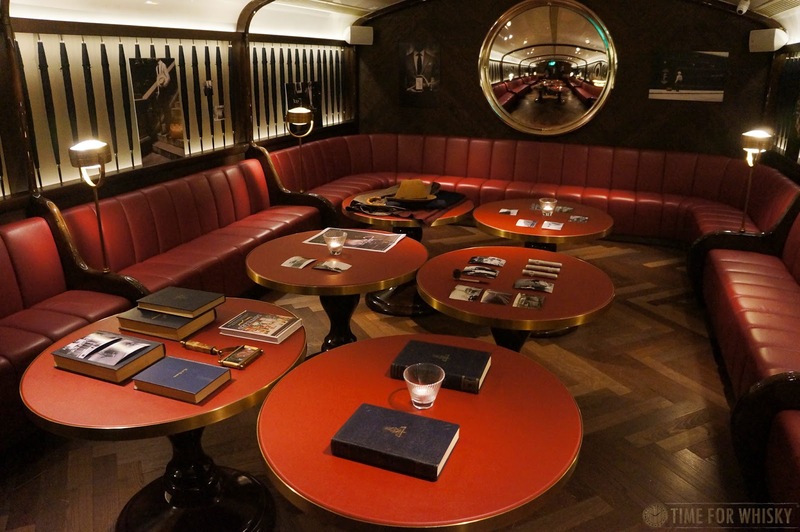 The small, but impressively decorated room holds a small bar (with 4 bar stools), a "library" of rare spirits, and a ceiling resembling a bookshelf. Easily one of the most impressive rooms in any bar we've seen in Hong Kong, it will be available to guests ordering rare, special or high-end spirits, and other VIP guests. Foxglove is located at Printing House 2/F, 6 Duddell Street (also accessible from 18 Icehouse St), Central, and is open from Midday (Mon-Sat) until 1am (Mon-Thurs) or 3am (Fri-Sat). Well worth a visit for dinner, drinks, or (ideally) both.